As years go, 2017 has been a memorable year for Crystal... for several reasons. Whether Donald Trump being sworn in as the 45th President of the U.S. or Crystal’s own Atlanta Falcons blowing the Super Bowl in the fourth quarter, these notable moments were captured and broadcast to viewers at home, thanks to one longstanding, entertainment tradition: Television. There has been a great deal heard about ‘the death of linear broadcasting’ lately — this simply isn’t true. Linear content continues to generate enormous revenues and it’s doubtful any survey or report would uncover very many viewers who don’t watch content in this way. Yes, consumers have indeed been driving much of the change being experienced in the content distribution industry, the most prominent of those changes being the demand for live/linear TV on any device, at any time and in any location. This Over-The-Top (OTT) viewing has boomed in popularity, so much so that even the most traditional of broadcasters have been forced to provide their content for online streaming. Since the start of this shift in the manner in which viewers consume content, Crystal has talked about metadata being a critical component (www.tvtechglobal.com/delivery/metadata-makes-the-ott-world-go-round/01835). This ‘data about (video) data’ really has become essential to OTT’s success, especially when one considers the myriad actions the technology enables. Metadata is central to, and sometimes the only way, to signal ad opportunities and allow for the seamless insertion of ads, enable Start Over TV (the ability to restart digital content that is already in progress), automate the recording of C3 VOD assets, and enforce content distribution rights. However, the problem is the implementation of the SCTE 35 standard, which drives monetizing actions. It is a mess. Crystal’s goal for 2017 was to expand the firm’s product portfolio to continue maintaining consistently good quality and error-free content to viewers. Currently, and for the foreseeable future, solving the problems surrounding SCTE 35, or the often-named metadata mess, is the company’s primary goal. Apart from SCTE 104 to 35 conversion issues, SCTE 35 messaging is easily corrupted during transcoding. Inevitably, this often negates the accuracy of the presentation time-stamp (PTS) buried within the message, and this data is paramount for the precise insertion of ads and for enabling effective Start Over TV. The Crystal team, as this article is being written, has just returned from NAB New York where the company launched a solution to this problem. The Crystal Metadata Cloud™ (pictured) is one of the most advanced products of its kind on the market currently and involves patent-pending Temporal Fingerprint technology. The cloud-based solution is designed to complement SCTE 35 messages by ensuring the survivability of metadata from the data’s origination to reception. Central to Crystal Metadata Cloud™ is the ability to identify certain points in a video, synchronize the video with absolute time and reapply metadata markers in whatever message format a receiving distributor prefers. The Crystal Metadata Cloud™ also resolves the issue of inconsistent signaling among various programmers. Arguably, the problem with SCTE 35 has the potential to slow the progress of OTT. Many content providers tend to look at OTT provisioning as an added cost of doing business, given the time and resources needed to reformat linear content for online viewing. For this reason, distributors must be able to reliably utilize ad insertion and other monetizing activities, while also ensuring that the viewer experience is “broadcast quality.” Without the ability to do this, distributors will find it almost impossible to find value in providing OTT. 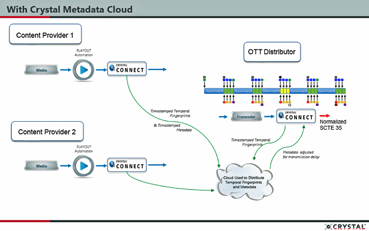 Crystal bridges the gap between linear and OTT distribution, with Crystal Metadata Cloud™ being the key structure in this critical service bridge. One of the biggest trends of 2017 has been personalization. This is being observed in most industries and, of course, TV is no different. Whether personalization of the OTT platform, targeting content to certain viewers or identifying advertisements which may appeal to one viewer more than another, metadata is key here — once again. According to recent figures from IPG’s Media Lab, 65 percent of viewers skip online video advertising — clearly, this is a definite problem for content providers. Crystal has been enabling Dynamic Ad Insertion (DAI) for some time now, but personalizing ads has proven to be successful at increasing ad effectiveness (www.broadbandtechreport.com/articles/2017/08/personalized-ad-insertion-the-key-to-ott-success.html). From the recent deployments of Connect™, a concerted effort on behalf of the distributors to increase the value for the advertiser is readily noted. Given the problem with ad skipping, it’s natural that advertisers need extra incentives to continue spending their hard-earned cash on OTT ads. Plus, the importance of ads for monetizing OTT provision cannot be underestimated. This is going to become even more common over the next few years and will be a significant benefit to the OTT content provider who can also successfully track the success of ads, much thanks to technology working with mobile devices and the capabilities of detecting whether a viewer “clicked through” on an ad. The Crystal Connect™ solution has, for some time, been enabling the insertion of highly personalized ads for many high-profile customers and also enabling content replacement to enforce distribution rights. This is the same solution that was recently deployed at one of America’s Big Four television networks, covering one-third of U.S. viewers. At this network, Connect™ enables the replacement of programs that are rights-cleared for distribution on a particular OTT platform or device. The same signaling methodology provided by Connect™ also enables the automation of C3 VOD assets instead of manually editing each piece of content. This is cost-effective and allows distributors to take advantage of additional Nielsen ratings which now count on-demand views within the first three days of a linear broadcast. Finally, Crystal Connect™ makes it possible to dynamically insert targeted and/or contextual advertisements — the Holy Grail of advertising today. Crystal has solutions and partners who, together, provide addressable advertising capability on OTT platforms as well as traditional cable and satellite platforms. Crystal Connect™ also received recognition at IBC and was shortlisted for a CSI Award — the awards were established in 2003 to recognize and reward innovation and excellence in the cable, broadcast, OTT video and associated sectors. Earlier this year, the Crystal Video Metadata Analyzer™ (VMA) was in the spotlight at NAB Show Las Vegas 2017, where Crystal launched a cloud version of the solution. The cloud migration has been a significant talking point in most industries, including the broadcast and video distribution sector. Several segments of the broadcast chain have already become commonplace in the cloud and this makes sense from everyone’s point of view, given that broadcast corporations are such multi-national, collaborative organizations and the solution is so cost-effective. Deploying broadcast processes in the cloud can be done far quicker than traditional workflows and the need for costly hardware is minimized. The cloud can work well for an industry struggling to monetize much of what they offer. The cloud-based version of Crystal VMA facilitates a much higher level of flexibility when it comes to metadata monitoring and the Crystal Metadata Cloud™ allows for the remote insertion of SCTE 35 metadata markers anywhere around the globe. In January, Alan Young, the former Chief Technology Officer of Encompass Digital Media, joined Crystal in his new role as Chief Operating Officer. The company also acquired Video Design Software (VDS) earlier in the year — Larry Mincer, VDS founder and CEO, joined the Crystal team as the Vice President of Business Development. OTT viewing will continue to become even more prolific, as distributors launch multiple services for different regions, on top of the ever-increasing number of platforms and devices being used by viewers. With the growth in VR and 360 degree video, there will also be more content formats to manage. This is all due to consumer demand — content providers, be prepared. Metadata is key to the evolution of video and is integral to delivering the correct content to the viewer, at the most appropriate time. As a result, even more important is that SCTE 35 remain effective and the metadata mess is solved. There will be multiple segments that will need to be marked with metadata for removal or insertion of ads and several different versions of these segments will be required for every platform and device — those challenges can be solved by the correct messaging. The entire process will likely become even more complex — systems and solutions must be in place by distributors to ensure complete accuracy. Author Roger Franklin is the CEO of Crystal. Additional company information may be obtained at www.crystalcc.com. DEV Systemtechnik had a highly successful company “restart” in 2017. With the new majority shareholder AXING, all are looking forward to a great future, one that is demanding for all of us. DEV is well prepared to constantly improve the firm’s offerings to address all target market areas. Customers demand superior, high quality products and they also expect professional, expert advice when it comes to serving their individual needs as well as when addressing their technical and business challenges. As a core part of DEV’s corporate principles, the company always strives to provide the market’s best customer services. Satellite Communications. Broadcast and Cable. HFC Headends. Government and Military. For this reason, customers that include some of the world’s most demanding system integrators, communication system providers and broadcasters — rely on DEV solutions. The company’s unique TripleC Protection program offers a 37 month warranty and comprehensive customer service. DEV has developed a new 1+1 redundancy link for optical transmissions to ensure no single point of failure for the firm’s systems. If the main or the backup signal fails, the device automatically switches to the working one and feeds two outputs to supply two redundant signals again. DEV’s Universal Switch Chassis 3 RU DEV 1953. This feature already has been delivered to a major television station in the Middle East. 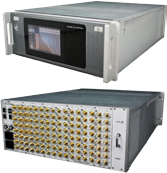 Integrated in multiple Optribution® Chassis, it provides the highest availability for 50+50 satellite uplink signals. As an additional new service, DEV now supplies every manageable device with eight licenses, instead of only one, for the product’s web interface. DEV’s L-Band Distributing Matrix ARCHIMEDES DEV 1986. DEV and the firm’s partner BFE Studio und Medien Systeme GmbH (www.bfe.tv) supported a major project for a prominent television broadcaster in the Middle East — 185 L-band over optical Fiber links by DEV Systemtechnik were integrated into the MCR, NOC and the teleport of the TV station. DEV continues to support Vodafone’s initiative— “Mission GigaKabel.“ As a long-standing and reliable supplier for the access network of Kabel Deutschland, DEV continues to supply high-quality transmission equipment for the HFC plant of Vodafone Kabel Deutschland. In addition to switching and combining modules for the coax network, DEV also provides unique AC/DC converters for powering CMTSs. DEV will be an integral part of this crucial initiative and will also offer optical transmission equipment from the company’s new MODULO product line. With the completion of the “Gigabit offensive,” Vodafone will provide internet at a bandwidth of one gigabit nationwide, for a total of 12.6 million households. head-ends. The switches are complete with auto-sensing functions that ensure there is always a valid signal from one of the two incoming feeds. Another important project was the supply of more than 200 L-band distribution amplifiers and lightning protection panels to support the state-run TV/Radio department in Kazakhstan during the nation’s nationwide infrastructure setup. Looking forward, a significant increase in business will be experienced by the company — there has already been an extremely good restart during 2017. The range of products DEV Systemtechnik will offer through next year will ensure the firm’s return to a leading position in the matrix market segment. DEV Systemtechnik supplies L-band matrix systems from 4x4 to 2048x2048. These systems can build and control an entire range of products. The company is planning several important introductions during 2018 — surprise products that will be real, significant and important to the industry. Until April 30, DEV is offering a free upgrade for the Basic DEV 7231 and DEV 7331 L-Band over Fiber Link. All orders that contain the Basic Optribution® transmit and receive modules will receive a free upgrade to the Advanced configuration. Or, customers ordering the Advanced Modules will only have to pay for the Basic offering. This corresponds to a discount of almost 17 percent on the transmitters and receivers of the Advanced RF over Fiber Link DEV 7232 and DEV 7332. Author Jörg Schmidt founded DEV Systemtechnik in 1995 is the Managing Director at DEV Systemtechnik GmbH. To learn more about the company and products, please visit www.dev-systemtechnik.com. As so aptly stated in French in this article’s subhead above, the more things change, the more they stay the same. Going back in time is always interesting — to reminisce, to encourage, to learn, and perhaps even to long for the good old days. Public telecommunications in past decades was circuit-switched, organized hierarchically into groups and supergroups, analog in nature, and networked as either broadcast or point to point circuits. The emergence of digital technology in the 1970s and 1980s was a seminal change for the telecommunications industry as it allowed for massive improvement in spectral efficiency and saw the emergence of techniques such as forward error correction (FEC), digital filtering and equalization that improved communications quality over poor lines. The dominance of IP and then the emergence of the internet in the late 1990s was equally important, as packet switching had simplified multiplexing, improved accessibility, and expanded network architectures — the connectivity of the internet has provided the broadband applications that have massively driven the growth of global telecommunications carriers. Then came the social media revolution in the 2010s; are we really better for that development? However, the physics of satellite communications has always kept it apart. Long hops and limited power budgets place much lower bounds on signal to noise ratio — satellite practitioners look enviously at recent advances in terrestrial cellular networks, where MIMO antenna systems, high order modulation schemes, and low-cost terminals are meeting the ever growing demands for high speed data — where service is available. But ‘Plus ça change, plus c’est la même chose’ — satellite still remains the only communications technology that is available any place, any time. Recognizing early on that Ka-band solutions would be required to meet the growing data needs of the satellite-connected community, EM Solutions started to migrate many of the firm’s products to Ka-band in the mid-2000s and build them into more advanced systems. Since 1998, the company had been developing bespoke and customized solutions for the firm’s customers, particularly local telcos. From EM Solution’s roots as a developer of solid-state power amplifiers, filters, and oscillators, the company has progressed up the value chain to develop high speed receivers and transmitters for radios, and now on-the-move terminals. The company has become the partner of choice for several European systems integrators and increasingly, customers around the world. For example, the company’s 80W Ka-band linearized transmitter (BUC) still remains the only airborne-qualified solid-state BUC at this power rating on the market and was first developed specifically for a customer in Europe. The product is increasingly being used in IFE (in-flight entertainment) solutions. EM Solutions has a long heritage of providing communications solutions to those customers who require radio connectivity. In 2008, the company was sponsored to develop a land-mobile Ka-band terminal and was able to test multiple prototypes over the Optus C1 satellite and to perfect its “monopulse” pointing technology before progressing to full commercialization. The development of this unique pointing technology has taken the company on other fruitful journeys; for instance, EM Solutions designed and manufactured the E-band (80 GHz) radios operating at 10 Gbps that now link the New York financial markets. These also have application for high data rate UAV communications, offering ten times the speed of existing products, and possibly even future specialist satellites. Readers may well ask how can a small Australian company be unique and relevant? 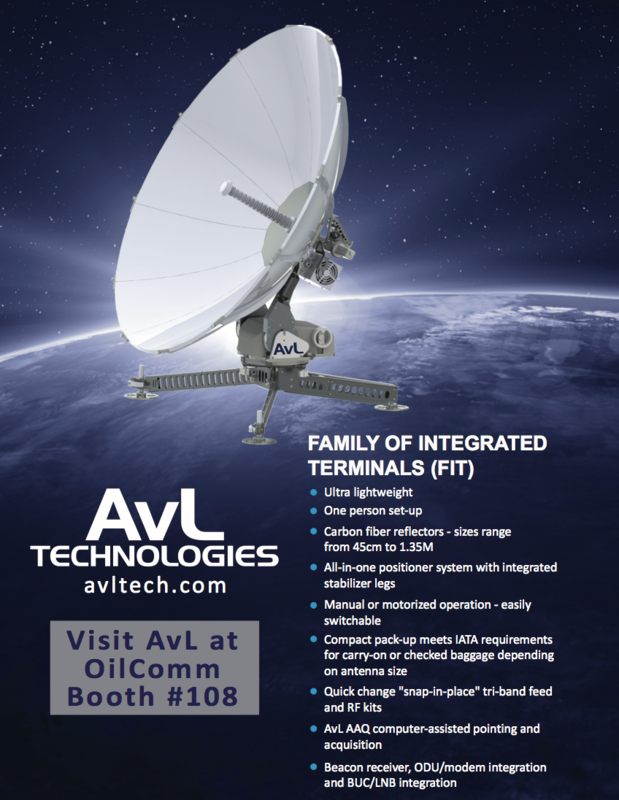 By being willing to customize SATCOM radio products, by providing multi-band solutions, and by developing superior technology, such as terminal stabilization for high availability communications on-the-move. In 2017, EM Solutions completed the installation of its dual Ka-band Cobra terminals onto the Australian Border Force Cape Class fleet. The firm’s partnerships with Inmarsat and Intellian proved productive, enabling terminal certifications on the Inmarsat GX network as a fall back to operation on the WGS system. EM Solutions then completed installation of the leading-edge tri-band Cobra terminal — which simultaneously operates in both X- and Ka-bands — for the Royal Australian Navy, and followed this with repeat orders for other ships. Meanwhile, the company’s land-mobile terminal, the Taipan, has continued to roll out for a major European customer (in X-band) as it will also manage shortly for an army in Asia (in Ku-band). By aspiring to the level of “assured” communications, EM Solutions continues to cement its position as a company known for products unmatched in reliability and robustness. The company’s research with the University of Queensland also continued, with Fellow Dr. Yifan Wang leading an innovative research project on a novel reconfigurable Flat Panel Antenna — which aligns with the company’s strategy to offer broadband and monopulse steered on-the-move terminals. 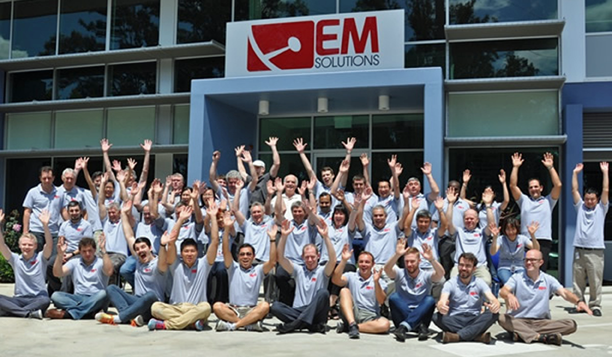 EM Solutions hopes to report on success with the first prototype early next year. EM Solutions made a number of internal changes to accommodate the advancements that were occurring externally. The company grew its talent base by 20 percent, adding diversity to the firm’s pool of human capital and, thereby, strengthening existing innovative capacities. What else did EM Solutions do with its human capital? Well, they say there is nothing more Australian than spending time in somebody else’s country — so, this year, EM Solutions did that, as well. The company sent staff to the U.S., Canada, the UK, UAE, China, Korea and Japan, securing more than $6 million in orders from four continents. The company sent people to source suppliers, support terminal installations, participate in learning opportunities, attend conferences, and to meet the people with an appetite for change — customers. Those who remained in Australia kept the innovation engine humming. EM Solutions were named as a Finalist in the 2017 Premier of Queensland’s Export Awards as well as the 2017 Brisbane Lord Mayor’s Business Awards for categories in Innovation, Manufacturing, and Doing Business in Asia. EM Solutions especially appreciate these local acknowledgements because such confirms the company is respected at home as well as by customers abroad. Two of the company’s biggest advantages have been flexibility and innovation and these haven’t waned. Innovation occurs by building on the shoulders of the giants that have gone before. The real giants in the innovation puzzle are those customers who embrace innovation and are prepared to fund its development. Such customers push the technology envelope and drive innovation by demanding specialized requirements, new features, and performance improvements. As 2017 draws to a close, EM Solutions salutes its customers — they are the real heroes. Author Dr. Rowan Gilmore is the Chief Executive Officer of EM Solutions. To learn more about the company and products, please access www.emsolutions.com.au. Broadcasters, one of the biggest users of satellite technology, are faced with emerging competition from a wide range of different companies, such as over-the-top providers, including the large contenders Netflix and Amazon, as well as small niche content providers. This is causing them significant challenges to stay competitive in an evolving market. For the satellite industry, a threat to broadcasting, is of course, a threat to the entire industry. At the same time, massive movement is occurring for satellite technology in emerging markets where satellite is delivering much needed connectivity. Ultimately, all of this means technology needs to continue to offer performance and cost-efficiency — enabling satellite users to gain from the competition in this changing environment is of mandatory importance. 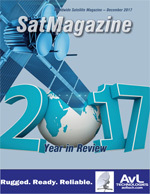 High Throughput Satellites (HTS) has been taking off this year, with many of the major operators adopting the technology, including SES, Inmarsat, and Intelsat. ETL System’s Griffin Redundancy Switch with L-band switch, RF switch and ASI switch options. With that comes a number of challenges. HTS has been a hot topic providing higher throughput with no additional spectrum requirements, meaning smaller antennas and a reduced cost per bit. Naturally that makes it perfect for VSAT applications, including marine, oil and gas, and broadcast, as well as for the countless Internet of Things (IoT) applications that are data hungry. In particular, maritime and oil and gas satellite users are moving toward reduced cost and modernized VSAT terminals with the adoption of HTS. However, the biggest challenge is that of the antenna being remote from the modem in these types of applications. This environment drove ETL to develop a VSAT over Fiber solution, which was launched earlier this year. For the company, the challenge was to design a fiber link with an outdoor unit on an antenna that was compact, low cost and with a rapidly deployable connector. The resulting solution from ETL Systems was met with a great deal of interest from the industry. Traditional broadcasters, as well as satellite broadcasters, are currently faced with stiff competition, not just from other broadcasters, but from a vast range of agile content providers who are delivering compelling content Over-The-Top (OTT). This means there is massive cost efficiency in the support of internet services as well as the easy delivery of content to multiple platforms and devices. Consumer demand for content anywhere is increasing and putting enormous pressure on all broadcasters to move beyond linear delivery. For a traditional satellite broadcaster, this presents a number of challenges. On the technology front, broadcasters are suddenly faced with different modulation types. Broadcasters must be able to provide coverage to consumers rapidly, from wherever a scene may be present, and most importantly, in high quality. The need for content everywhere, from anywhere, is truly at the heart of the argument for maintaining satellite connections. Established broadband infrastructure is on the rise; however, no region in the world can boast of quality, reliable fiber connections that are present everywhere. Satellite is often the only viable answer. With broadcasters under increasing pressure to provide content to multiple platforms, the need for redundancy has suddenly become all the more important to ensure continuous service. Recognizing the need for a flexible redundant switch to be ready within a short timeframe, the company set about developing a new product to meet such requirements. Fortunately, the firm’s engineering team is used to custom building RF products to individual requirements. This meant ETL Systems was able to develop a solution in short order, a solution that met all of the market requirements. The result is the Griffin redundancy switch, which handles RF, L-band, and ASI signal types, all the while providing signal redundancy for satellite modulators, downconverters, or modems. Automatic switching to a standby path when an error occurs can be triggered by front panel alarm contacts, upon RF level detection, or connected to a Network Monitoring Solution. Minimal impact from failure is reinforced by hot-swap switch modules. This has had enormous traction across a wide range of verticals this year. ETL System’s Hurricane L-Band Matrix 64x64. The emerging markets are a massive growth area for the satellite industry. In many of these markets, the communication infrastructure is lacking and, therefore, challenging due to the huge distances involved and extremely, unconnected rural areas. Satellite can, and is starting to, solve such issues, bringing much needed communication for video, phones, and the internet. This is having an impact for the consumers across these regions and will likely expand quickly over the coming months. As a manufacturer of products for the satellite industry, we are witnessing growth of sales in many of those markets. Indonesia and Malaysia are, for example, particularly strong for ETL Systems — this year, many of our matrices are being used in markets the company hadn’t initially considered and, therefore, had not actively targeted. The company is still noting strong growth and demand for the firm’s products across all verticals in existing markets. Despite the challenges, broadcast remains a big sector for the firm. ETL Systems has had some major success with the Hurricane L-band Matrix in government and broadcast sectors. This is mainly due to the unit’s compact size — the smallest in the industry — with integrated LNB power that is coupled with multi-configurable inputs. As product manufacturers, of vital importance is that ETL Systems remain cognizant of industry trends and challenges that will be present for the firm’s customers. 2017 has been a year full of change, which has brought challenges and opportunities to the industry. 2018 will be more of the same — satellite will continue to be important across all verticals, especially in those regions where space-based delivery of communications is the only option, as well as in additional markets where SATCOM brings its own set of advantages or additions. As the demand for satellite bandwidth increases, especially to handle those data hungry IoT applications, HTS will continue to grow over the coming year. That also means a move from Ku- to Ka- to Q-band, to create further bandwidth in support of the need for space on the satellite spectrum. That, in turn, will drive requirements for existing and new products to be able to support this new era of satellite communications. The other element to be witnessed in 2018 is the launch of countless Low Earth Orbit (LEO) constellations. With much concern regarding how these smallsats will affect the satellite spectrum, good quality products will be crucial to ensure errors are minimized as much as possible when dealing with current and future constellations. The challenges for satellite users this year is an area that has been especially successful for ETL Systems. The company possesses a strong focus on building in resilience, performance and quality in all offered products. When faced with rising competition, differing formats and new technology, these areas are all the more important to ensure better efficiency and, ultimately, that, no matter what, consumers receive continual, high quality service. In 2017, we launched four new products — in 2018, ETL Systems looks forward to developing new solutions to solve the myriad of new market challenges that will emerge over the coming months. Author Ian Hilditch is the Chief Executive Officer of ETL Systems. Additional information regarding the company is available at www.etlsystems.com.